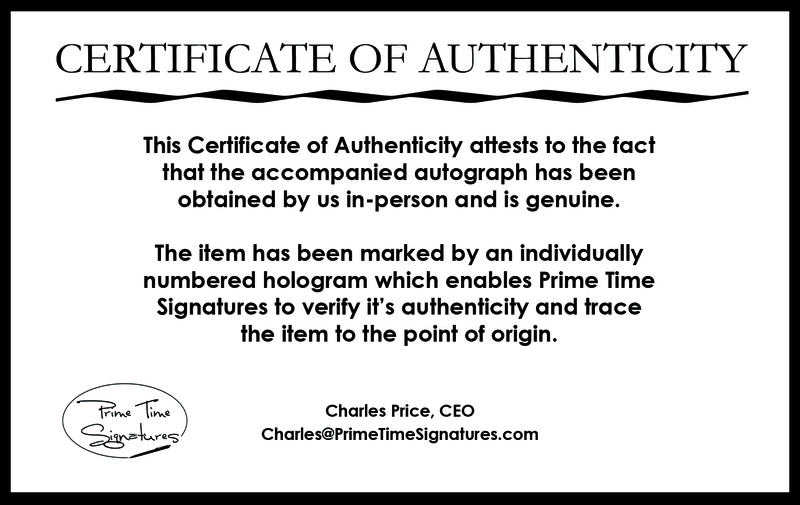 Prime Time Signatures is dedicated in providing 100% authentic autographed memorabilia and collectibles by obtaining all our autographs in person by Prime Time Signature’s staff. 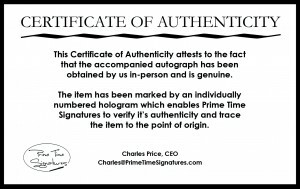 To verify the authenticity of your autographed item enter the item’s unique certification number in the field below. This number can be found on the item’s Certificate of Authenticity as well as the tamper-proof hologram affixed to the item.